A mix of oils will be more interesting and aromatically effective. Combine a leafy/herbal oil, a resinous/woody oil and a fresh citrus oil to achieve a balanced aroma. 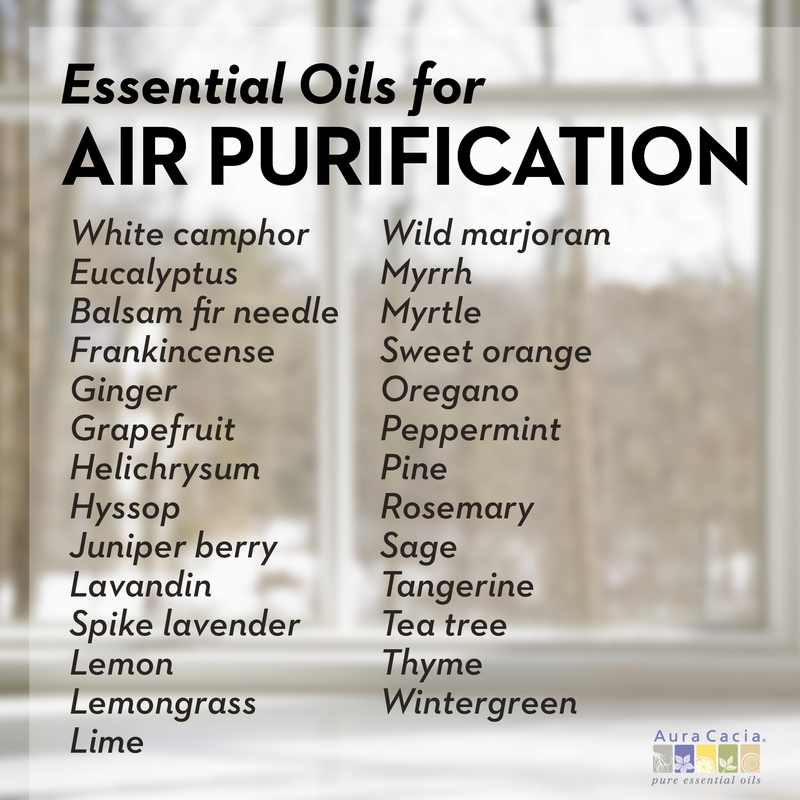 Use the blend in a plug-in or portable diffuser, or combine with water in a spray mister bottle to powerfully purify and freshen the airspace around you. Saturate fiber diffusion pad for Aura Cacia pocket diffuser and start diffuser. Refresh pad as needed. Place oils and water in a spray-mister bottle, shake vigorously and mist airspace in room. Repeat as needed. This entry was posted in Natural health and tagged air purification, aromatherapy, essential oils, winter by Cayenne Room. Bookmark the permalink. We do! You can find us here: https://twitter.com/AuraCacia. the recipes of these blends are great, can you provide any remedy for sore throat and rashes inside the throat? Hello Melissa. Due to FDA regulations, we cannot legally prescribe essential oils for a medical condition. We recommend consulting with a natural health professional who can offer advice based on your specific needs.